Ever since Canonical introduced Unity desktop, there was no dearth for user-contributed ideas. Some of them were really good too. But over-time, things have changed so much about Unity that most of those mockups became irrelevant. Now, here's a new one that recently came to our notice. Some very good suggestions to improve Unity launcher further. What makes this current crop of mockups special is the fact that, they are not recommending for anything drastic. Small incremental improvements to the current Unity launcher is exactly what it needs. Credits to the creator rylexr@deviantart. Here's a roundup of his suggestions. Vertical lines to represent currently focused application. Much needed change. A more readable progress bar. Welcome move, I say. Support for groups/folders with drag and drop functionality. Icons should be using the full space for better readability, another much needed change. 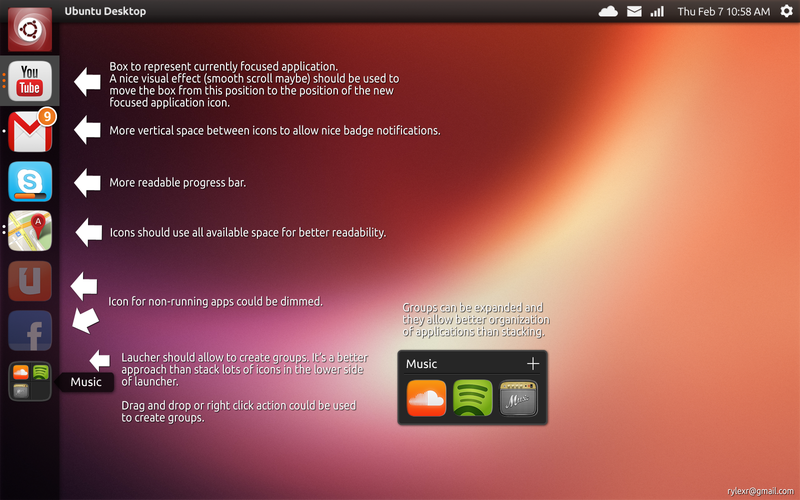 Now this is second part of A Better Ubuntu Unity Launcher project (click on the images to see them in full size for better readability). 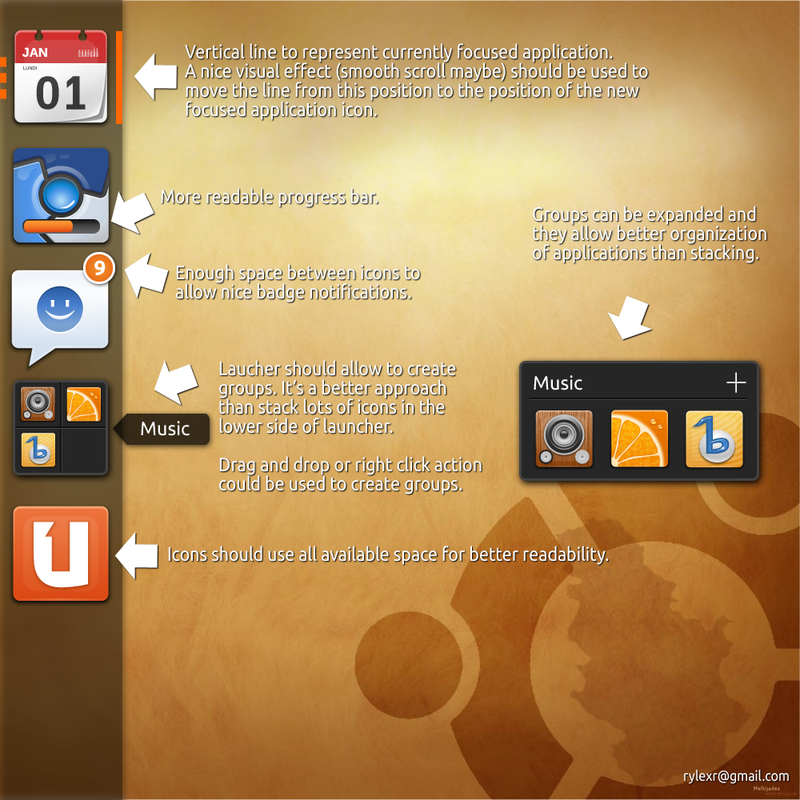 Major change is the fact that, he used Ubuntu Phone icons instead of Faenza icons for the mockups and it looks really pretty in my opinion. So what do you guys think about the whole idea?